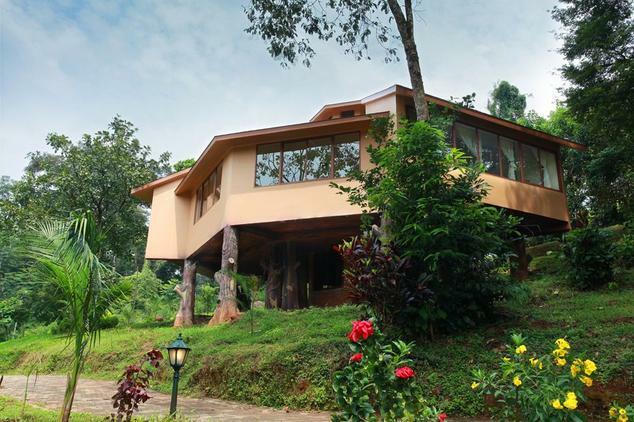 Vythiri Village is located 2600 sq ft above sea level in the Wayanad Hills of Malabar region. 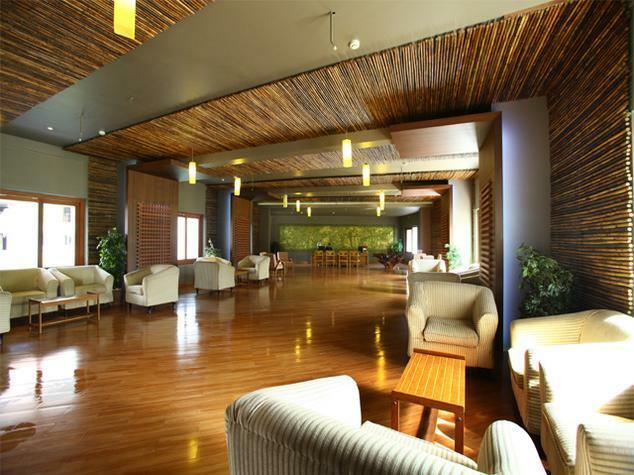 The total area it is spread across in 20 acres and has all the amenities needed for a modern and luxurious living. 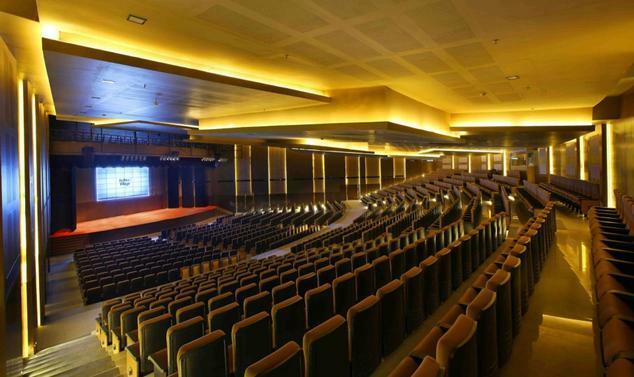 The Vithiri Village is poised to be a luxurious five star property with about 200 rooms and a high-tech conference hall which can accommodate around 2000 delegates. 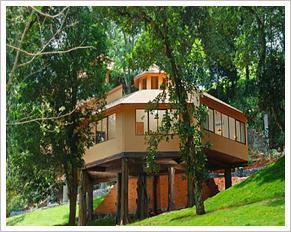 The resort has a wide range of luxury cottages and tree houses to enjoy the beauty of nature in the best of comfort. 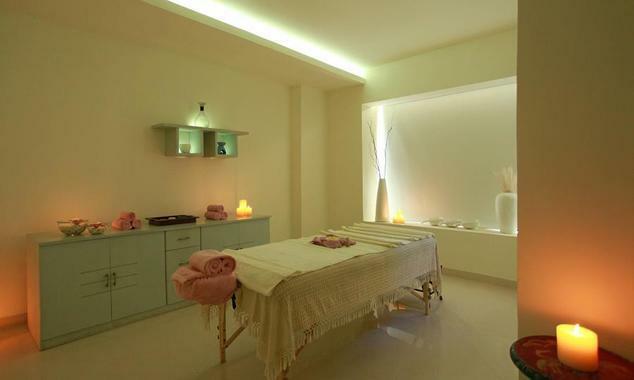 The facilities offer are ozone treated swimming pool, health centre, business centre and world class spa. Some of the interesting activities that take place are Zip line, archery, tracking, cycling, yoga and stream walk. 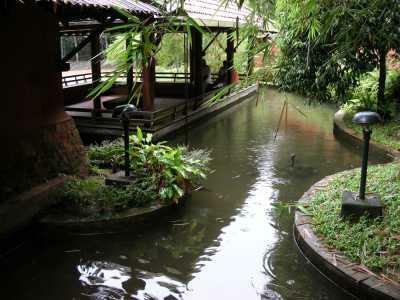 In addition to this trips are arranged to tourist spots through travel desk. 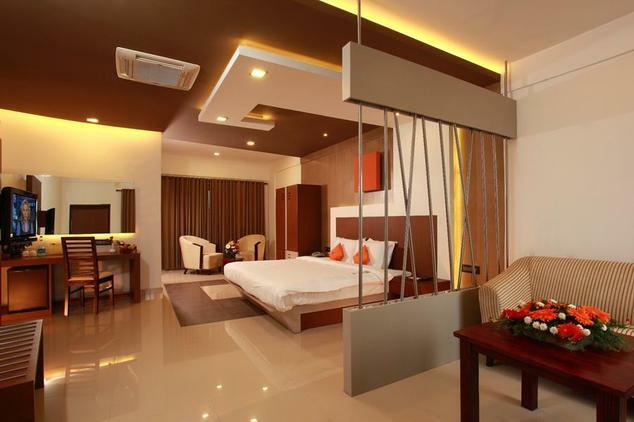 Deluxe rooms are have all what you want and more. 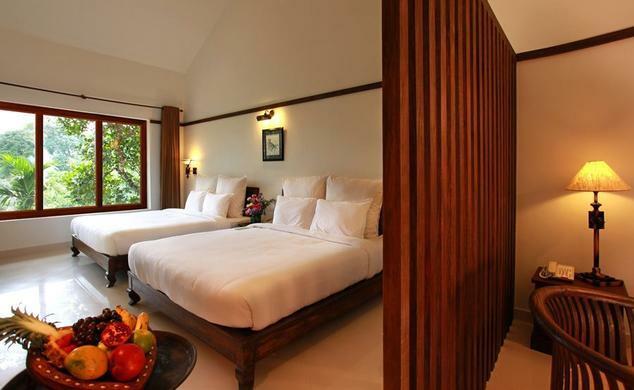 Double beds with ample lighting in bed side for reading; well lit by natural light during the day. 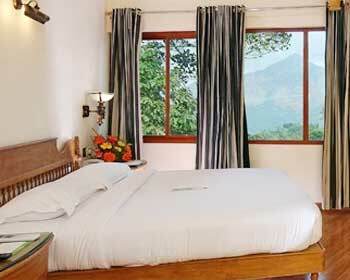 The accommodation also has rooms that have twin beds to choose from for the convenience of guests. The amenities provided in the room include 32” color television displaying digital quality pictures, mini refrigerator, tea coffee maker, safety locker and high speed Wi-Fi internet connectivity. Suite rooms are sear luxury accommodations to rejuvenate and enjoy. The rooms is spacious with separate seating arrangement, reading space and king size beds big enough to accommodate two adults and a child. Extra person can be accommodated at extra cost. 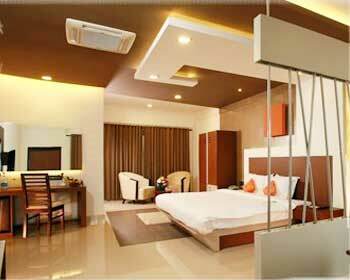 The room is fitted with modern decors that are trendy and stylish. Moving space is sumptuous and there are beautiful views to cherish. 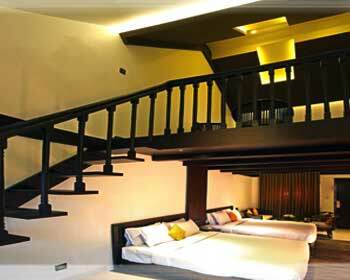 Duplex rooms are double rooms which can accommodate four adults. 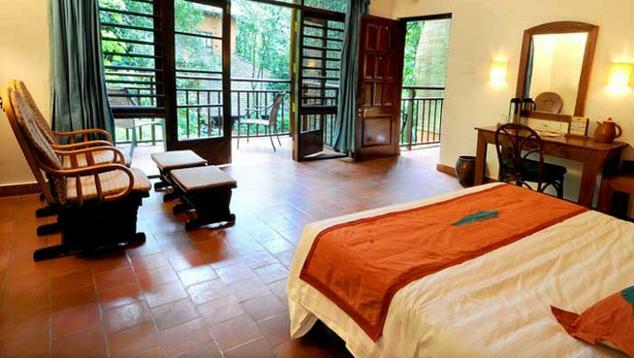 The rooms is available at two levels with the upper area for searing and relaxing where as the lower area has king size beds. 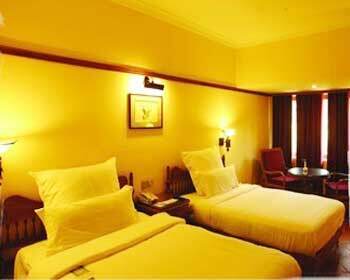 The facilities of the room include mini refrigerator, safety locker, beautifully decorated big windows and rich fittings that all beauty to the room and room service which takes care of all guest needs. Cottages are the next variant in accommodation which have separate space dedicated to dining, living and bed. The room has all amenities that provide comfort and relaxation. 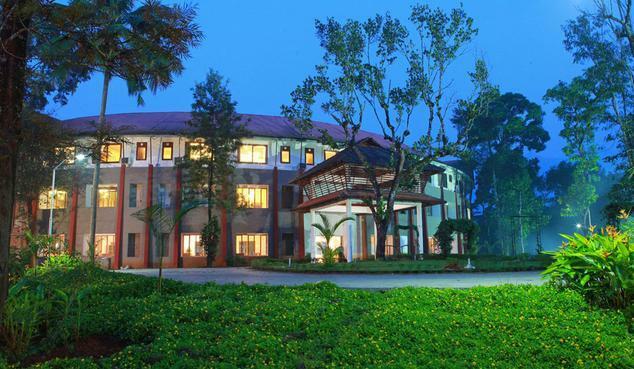 Further to the in house entertainment provided by the colour television there are out door entertainments like cycling, yoga, trekking and stream walk. These are accommodations filled with luxury, they provide double benefit of a cottage as well as a luxurious home with Jacuzzi. The warm whirl pool bath tub will provide a relaxing and soothing feeling relieving you of your stress and tension. The health club will keep you brisk and active in low dose throughout your relaxing period, a perfect way to balance a holiday. 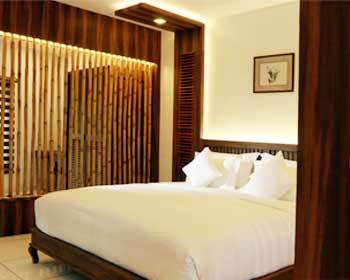 The pool villas are the ultimate in luxury and are similar to individual houses. It goes without saying that there are separate areas for dining, living and sleeping. The amenities for the accommodation are safety locker, mini refrigerator, coffee tea maker, thread mill, television, centralised A/C, private pool and modern fittings to add to luxury. 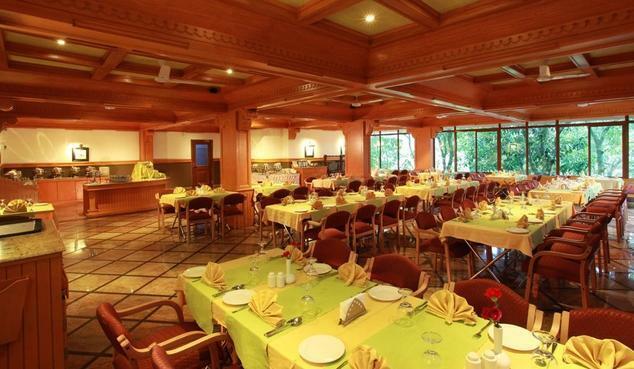 The in house multi cuisine restaurant provides food all three times of the day covering multiple cuisines. The authentic Kerala style food preparations like appam stem, puttu kadalakari, kappa etc taste best in flavour and remain the much sort after dishes in the cuisines. But the all time delicacy Chinese foods are also hot cakes and stand high in order. The other cuisines in the menu card are continental and Indian. The ambiance of the restaurant is such that one will have the feeling of dining in the forest with the company of trees and birds. Coffee shop has all what the customers’ wants, be it beverages, meals, snacks or dinner. The coffee shop is open throughout the day serving its customers with delicious lip smacking delicacies to forget you into. The chefs are specialist in their cuisines and will tranquilise your taste buds in taste.